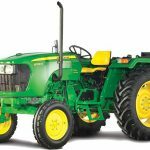 Are you planning to buy the latest model tractor of John Deere? 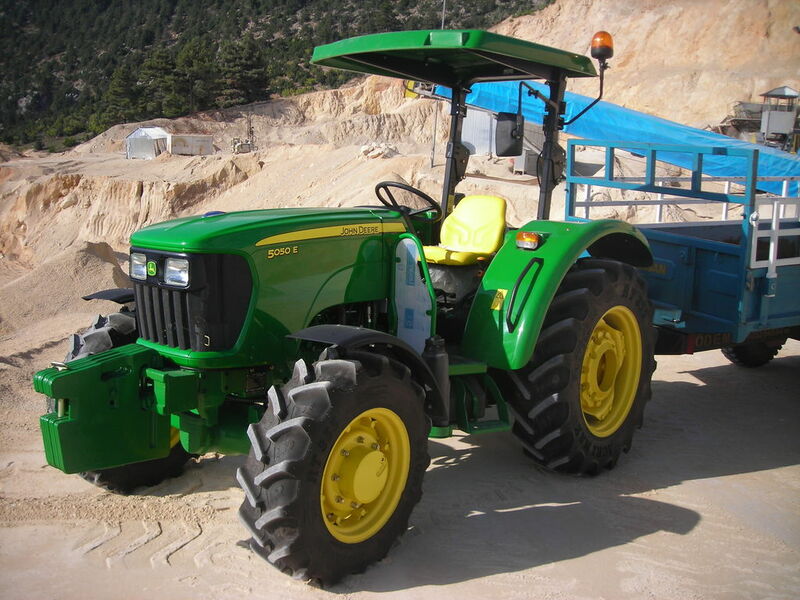 Then here you are at the perfect place where you can get all genuine of information about latest John Deere 5050E 50HP. Find out it’s all perfect and entire details such as its overview, price, technical specifications, key features, engine, transmission, brakes, steering, wheels and tyres, hydraulic capacity, power take-off (PTO), top speed, dimensions and weight, electrical systems, optional accessories, options etc. Check it out below. 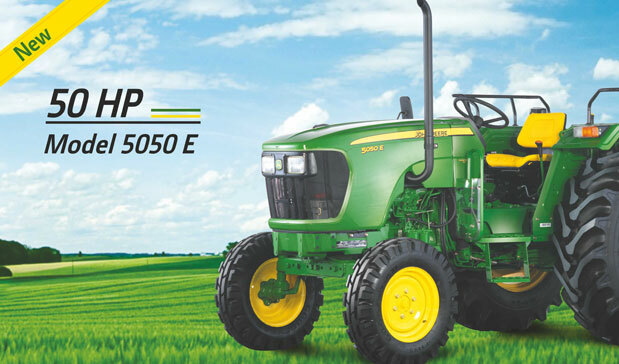 5050E 50HP is the most popular tractor model used in India and other countries. This tractor comes with great comfort, powerful engine with convenience features to keep farmers always smiling for a long time even in odd conditions. The engine power and hydraulic capacity are high for heavy duty farming operations with low maintenance cost and earlier in time. 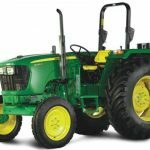 There are all features available in this tractor, which you expect from John Deere like its marvel engineering, convenience features, assembly, components, accessories and sufficient options. 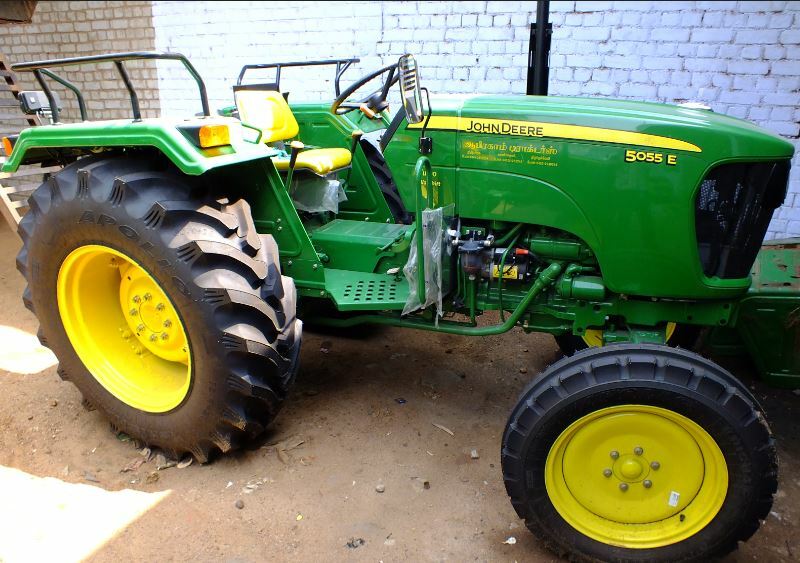 That is why the John Deere 5050E 50HP tractor model is famous among the farmers. John Deere 5050E is affordable with its price. Its price in India is around Rs. 7,71,000/-. It is also good in value for money. 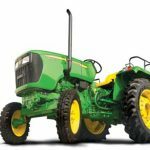 John Deere 5050E is fitted with powerful 50hp coolant cooled with overflow reservoir, turbocharged engine with 3 cylinders produces outstanding power @ 2400 rpm, which provides excellent torque & durability. There is fuel injection system of Direct Injection Inline FIP gives great mileage. It’s viscous fan, the hotter radiator, higher fan speed optimizes utilization of the engine power and improves fuel efficiency. 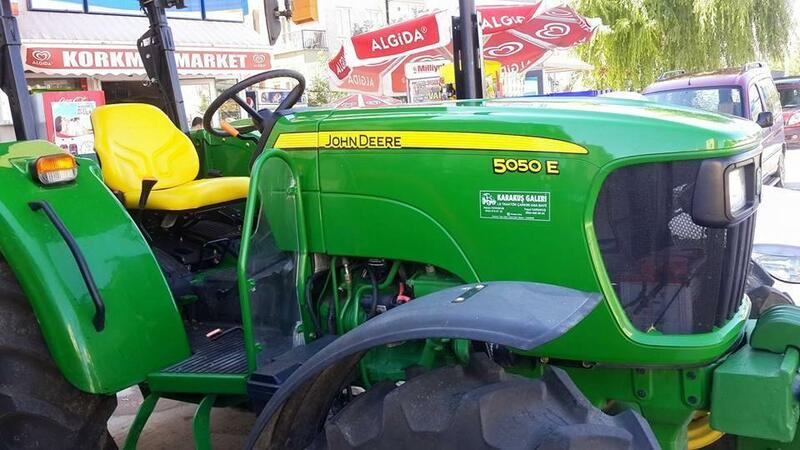 John deere 5050E 50HP is fitted with 9 forward and 3 reverse gears with collar shift. Dual clutch provides smoother transmission. The John Deere 5E Series Tractor are designed to the condition of operator further forward and slightly lower than other tractors in this class. This design improves the farmer’s riding control and visibility during the operation. There is a deluxe seat fitted with armrest provides the comfortable ride to an operator. This seat is mounted on two springs with an adjustable hydraulic system. A mid ride indicator allows the operator to adjust seat comfort level. The operator can adjust the seat up and down along using a lever fitted at the right and under the seat. The suspension will adjust automatic with operator’s weight. The tiltable steering feature is available on the premium version 5E models. The tiltable steering provides multiple options for adjusting the steering wheel which provides great riding experience. The operator can select the most comfortable driving position, for reducing load and aiding in easy entrance and exit during the ride. Operators can stop when the unexpected happens on the field or on the highway with hydraulic wet disc brakes. The brake pedals can be locked for braking action on both rear wheels when it is in transport, or they can be unlocked to make tighter turns in the field operation. John deere 5065 E 65hp possess self-adjusting, self-equalizing, hydraulically actuated oil immersed disc brakes which provide better riding control. The brakes of 5050E are oil cooled, hydraulically actuated immersed disc brakes for maximum performance throughout the life of the tractor. There are large tires in 5050E provide better ground contact and riding control. Below there is dimensions of wheels of both variants available for John Deere 5050E 50HP model tractor. In a standard variant, there is Front – 6.0 x 16, 8 PR and Rear – 14.9 x 28, 12 PR dimension of wheels. John Deere 5050E contains a large fuel tank. Its fuel capacity is 68 liters. It is useful for a long drive and for operating continuously farming operations. EQRL switches are fitted on both front and rear sides. During headland turns front EQRL switches allow the operator for quick operation of raise and lower the hitch. EQRL switches are located on the left-hand rear fender allow the operator for the quick hitch and unhitch the implement operation, it is helping to maintain the same depth and position on the field. The result is that less fatigue for the operator and ultimately increasing productivity. Overall John deere 5050E E 50hp is a most powerful and efficient tractor for farmers in its class and price. It has the powerful engine and great comfort with latest technology features. 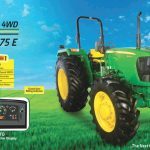 I hope you would like our article on John Deere 5050E 50HP tractor model. If you have any query or question about it please inform us or comment below we will solve it. Thank you. Thanks for reading our post, And John Deere 5055E Cubic Capacity is 3029cc. Keep Visiting our site.